Of course, in line with my love of the charming, I am also in love with every, and any, Rom-Com out there. Especially those that put me through a whirlwind of emotions, from laugh-out loud, stomach cramping comedy, to heart-wrenching crocodile tears, and preferably all in one. Nothing hits the spot like the good old classic. The Shakespearean plot of forbidden love is a timeless one, and in fact there have been numerous remakes and adaptations of the play. Although Zeffereli’s classic remains top of the list. My favourite rendition of the romantic tragedy has to be Baz Lhurmann’s Romeo + Juliet (1996). 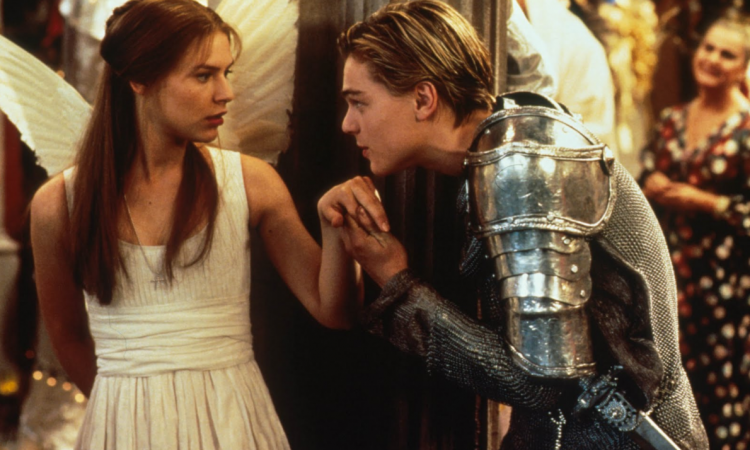 Taking the age old tale of the two star crossed lovers, out of the context of renaissance Verona, and placing it into a more contemporary 90’s drug subculture was a brave move. Although the setting of the play changes, the essence remains unchanged, with the movie remaining true to the plot in terms of the feuding families of the smitten teenagers and constant turf war between them. Swords and daggers are merely replaced by guns. Juno is the type of laugh out loud, but at the same time tear wrenching comedy, which gives just the right balance of emotional thrills and comic relief. With a contemporary mind-set, the film is very relatable and makes for a more modern kind of love story. The struggles of motherhood that the teenage Juno goes through, and the incredible choices which she makes in terms of not having an abortion and agreeing to give her baby up for adoption, the surprising twists of her falling for her best friend and the parallel plot of the failing marriage that ends up being salvaged in the end. It all feels very real and very close to home. For a different kind of light-hearted tragi-comedy, Juno remains top picks. Another modern classic that revolves around a tragicomedy plot. The overprotective father, rebellious first daughter, cunning plans of one upping each other, the unexpected love story and the amorous and hilarious sub plot, this movie keeps you on your toes throughout. The unlikely pairing of the female lead and the security guard, who was meant to be essentially spying on her for her concerned father, is both heart-warming and hilarious. Plagued with notions of correctness and propriety, being caught in their lies, the affections of the infatuated are put to the test. Ultimately, although the road is troublesome and full of turmoil, love triumphs in the end.